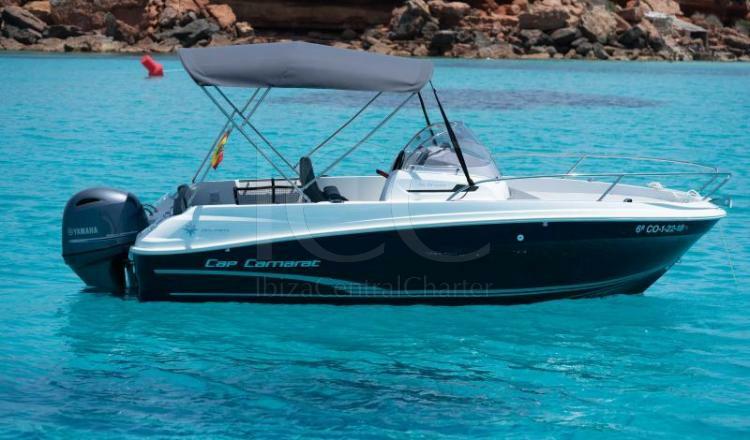 The Jeanneau Cap Camarat 5.5WA motorboat of the year 2018 with its 5.5 meters of length is available in the port of Marina Botafoch in Ibiza to take you to discover all the wonderful places that the islands of Ibiza and Formentera hide. 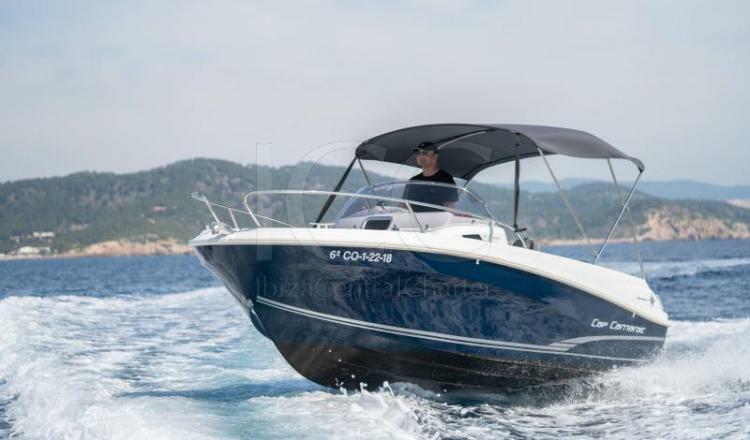 The Jeanneau Cap Camarat 5.5 WA is a boat of 5.50 meters in length that has modern and dynamic lines. 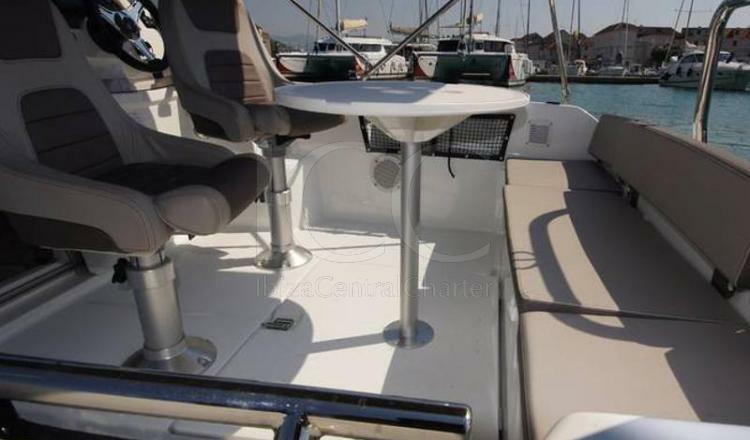 This boat has all the comforts of a motorboat. 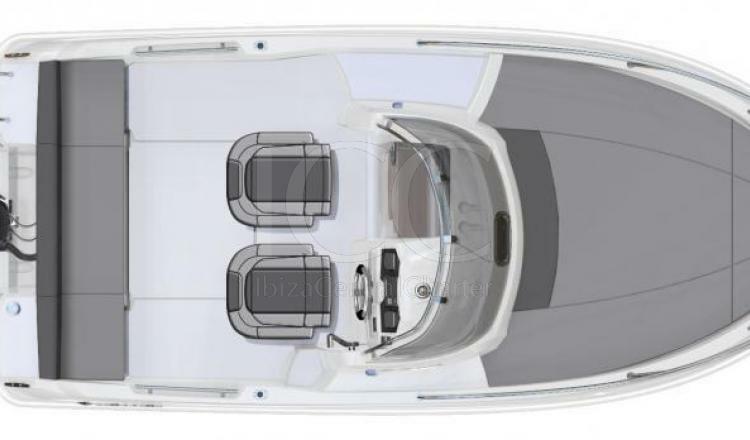 Inside you can rest in your cabin with two bunk beds and spacious wardrobes to protect from the sun and protect those delicate objects from the water. In addition, it has a small toilet. 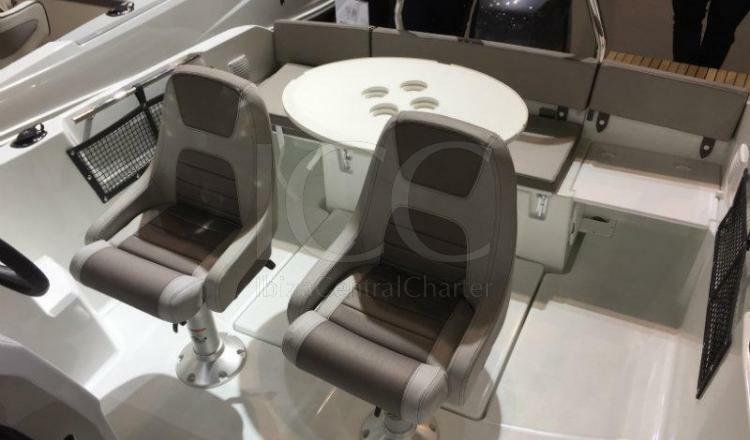 The aft cockpit is spacious and has a command area complemented by two bolster seats that can be rotated to gather all the passengers around the table. The rest of the passengers can rest in a comfortable and wide sofa. 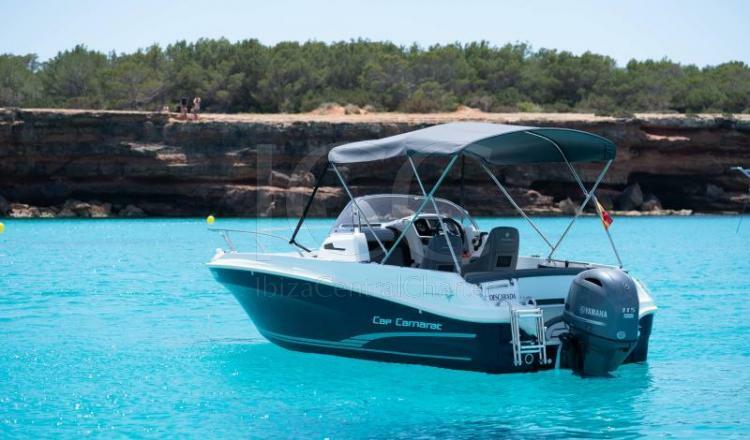 For those who want to relax to sunbathe, it offers a spectacular solarium in the bow in which to enjoy the views of the different beaches and coves of Ibiza and Formentera. 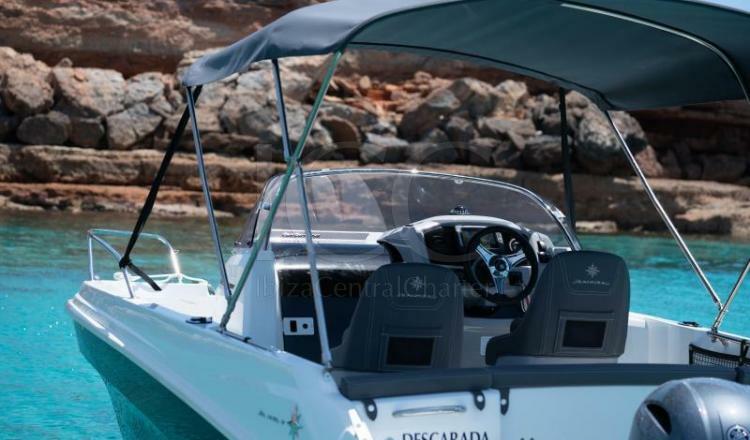 Its 115 HP motor guarantees that the boat has excellent sailing conditions as well as safety on board. 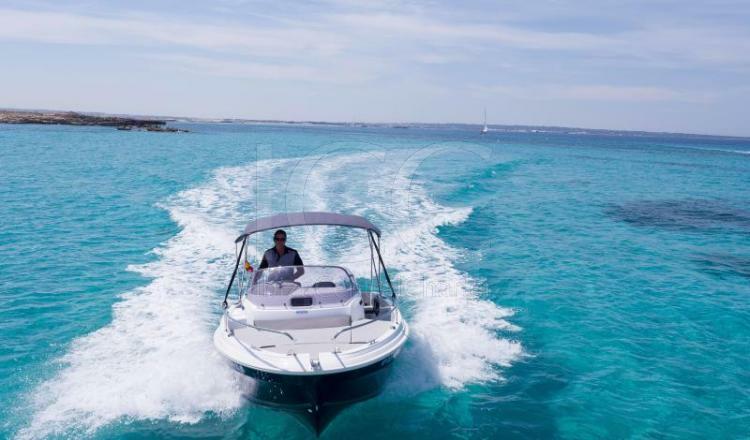 Enjoy the sea of ​​the Balearic Islands in this sports boat and spend a holiday in a unique and unforgettable way. Skis, wakeboard, neumatica 1'80, donut, 30€/day. 50% reservation- 50% before boarding. Minimum advance of 60 calendar days before the rental start date: return of 80% of the total amount of the reservation. With minimum advance of 30 calendar days: return of 50% of the total amount of the reservation. With less than 30 calendar days, no amount will be refunded. Without skipper: Minimum navegation license. Overnight 2 people: sheets, pillows, 2 towels, WC, 30€/night.